Trevor Kemp, left us on 29th January peacefully, surrounded by his family. Following, a few lines with personal reminiscences on Trevor – and why he was an inspiration to many of us. Our paths crossed countless times during our activities with the U3A. Since first joining the U3A in 2009, I met him first in the Photo group, then Creative Writing and Discussion, later in the Drama group, at every U3A general meeting, Fundem concerts, etc. He was also involved in a bunch of other activities, too many to count, like Friends of avinença, Classical music group, Astronomy, etc. As if that wasn’t enough Trevor was also active with the Spanish local community, teaching English to unemployed people in Teulada to help them find work and organising astronomy shows in Teulada-Moraira. Part of every activity was the time to socialise, share a drink or a meal and enjoy conversation about everything on earth – and Trevor never failed to take full advantage of these opportunities. 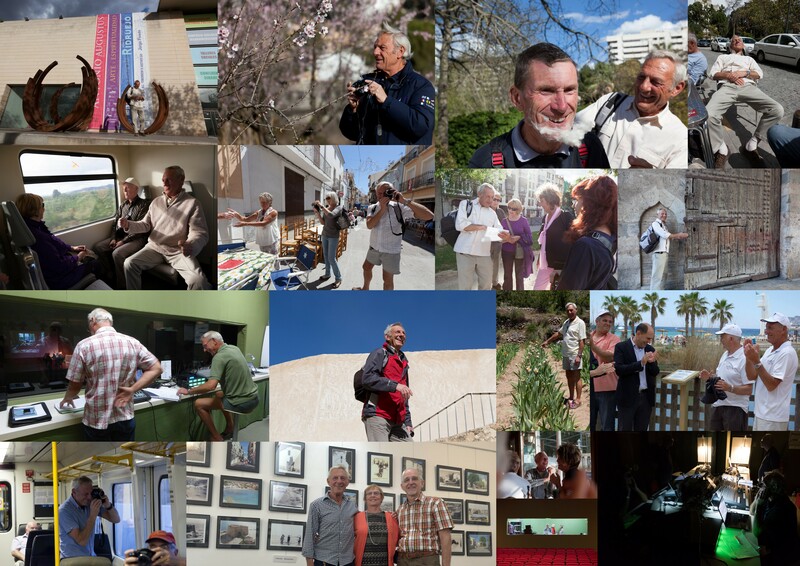 I used to call Trevor the busiest man on the Costa Blanca – he took over the photo group when Regina had to give it up, then Drama, then Classic Movies … Trevor had a clever display of groups he represented at the U3A general meetings – and it seemed to grow every time I looked. What never varied was Trevor’s insatiable curiosity, will to learn and to be active, enjoying every moment of his life on the Costa Blanca. Following a particularly busy period with the Drama group, after putting up a number of shows with complicated arrangements, I saw his post on Facebook, sharing with family and friends how happy he was to participate in so many great activities, in such a great place. It was touching to see how much he enjoyed the hard work involved and the camaraderie which went with it. Trevor wasn’t just a good companion for fun: the last time we worked on a project together, for the Drama group, he was obviously very ill, having great trouble breathing. I and others tried to make him sit down, rest and relax, but he insisted on running the show as promised – very successfully. And he found the energy to join the after-show dinner! I, as many others, will miss Trevor’s cheerful presence, but we are also thankful that we met him and shared so many happy moments together. We feel sad, but richer because he became part of our life for a few very happy years.